One Table Saw, One Blade: NO PROBLEM! This is the top of the line choice for the serious craftsman who wants one superior table saw blade for most all woodworking. Saw plate run-out less than .002� for flat true run. Built-in dampening system reduces vibration, making cuts quieter and more precise. 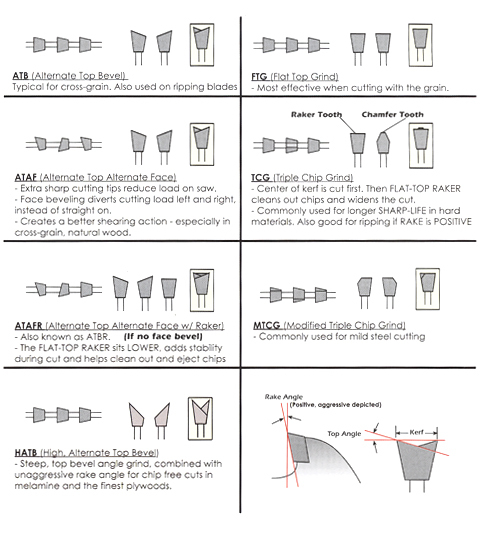 Performs smooth, easy crosscuts and rips. Even does a great job on double sided laminates. Carbide tip material is an extra hard, C-4 and super fine grain with corrosion inhibitors to give the keenest edge and longest sharp-life. Resin bond-filled expansion slots to absorb any vibration and reduce cutting noise. TENRYU�S fine grit honing ensures mirror finish on carbide for the keenest possible edges and a super clean cut. "I have used this blade for a while now, and am more impressed with it than before. I cannot believe the cut I get on oak veneer plywood." Mike Bridges, Mikes Custom Woodworking. 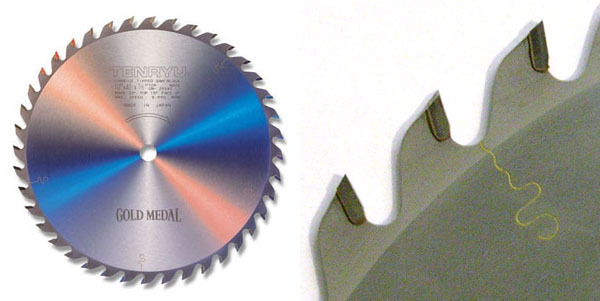 "Quietest cutting blade in our test..." Wood Magazine, Feb.2000, (page 65).